Home / eyeshadow / Lancome / palette / review / "Keep your eyes on the stars, and your feet on the ground." 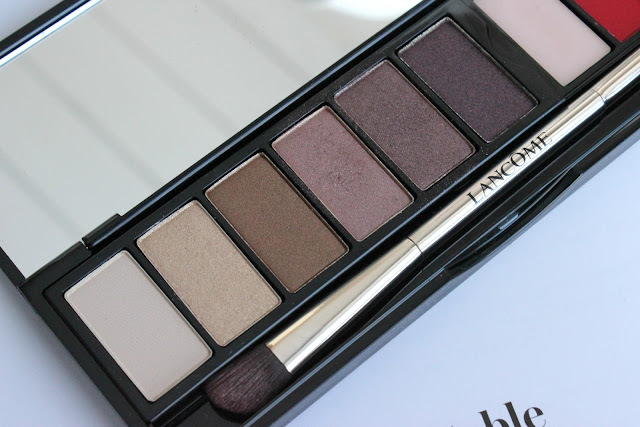 When it comes to holiday palettes, I'm a huge fan of Lancome. 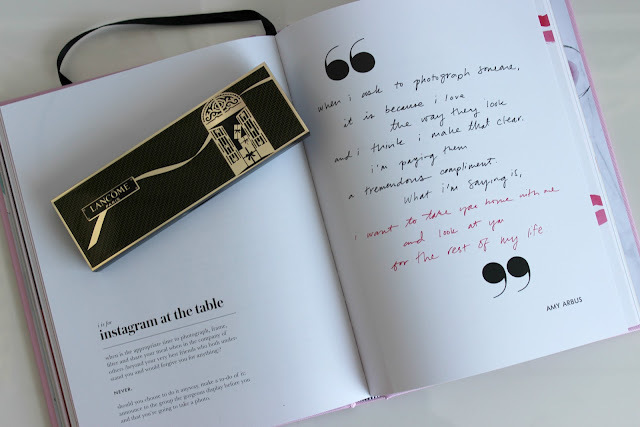 The French Innocence palette that came out about this time last year is still one of my favourites ever. So naturally, when the My French Noel palette came out, it was one of the first things on my wishlist. Similar to the French Innocence palette, it contains 6 neutral eyeshadows, with a flap covering 3 additional shades. 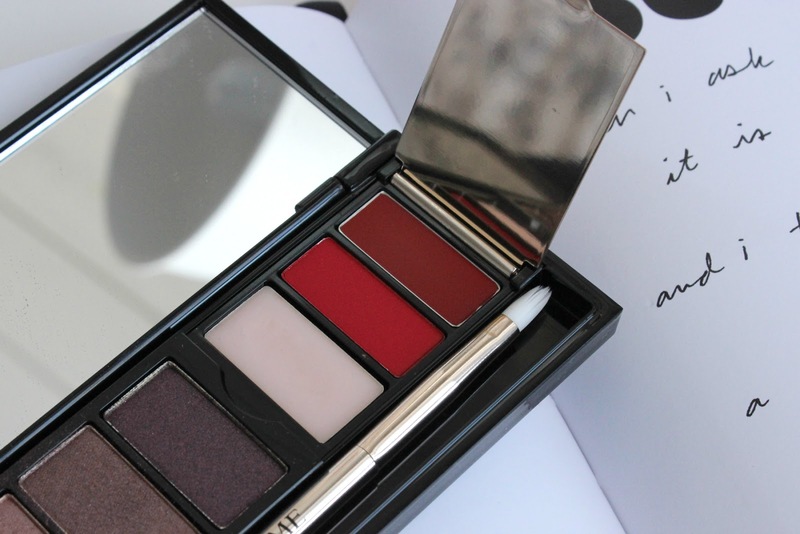 Unlike the first palette (which contained 3 tealy eyeshadows), this one contains 3 lip products; one clear lip balm, one bright red, and one burgundy. The packaging is insanely gorgeous, and expected. It has a very Parisian vibe to it. There is a huge mirror that is across the entire top of the lid, which is great if you like doing your makeup on the go. It has a double sided brush which is decent; nothing special. One side is for the shadows, and one for the lip products. Now, onto the quality. The colours are absolutely gorgeous. Purples are some of my favourite colours to wear on the eyes, so I've been using those a bit more than the browns. All of the colours are super pigmented (with the exception of the highest colour, which is essentially the same as my skin colour). The other colours turn up exceptionally well with only a swipe or two. They blend together seamlessly, and last all day. I'm very impressed with them. With the exception of that palest colour, all of the shadows are a satin to shimmer finish. I really, really wish that there were more mattes, like the French Innocence. I have slightly hooded, deeper set eyes, so I desperately need a matte colour through the crease. 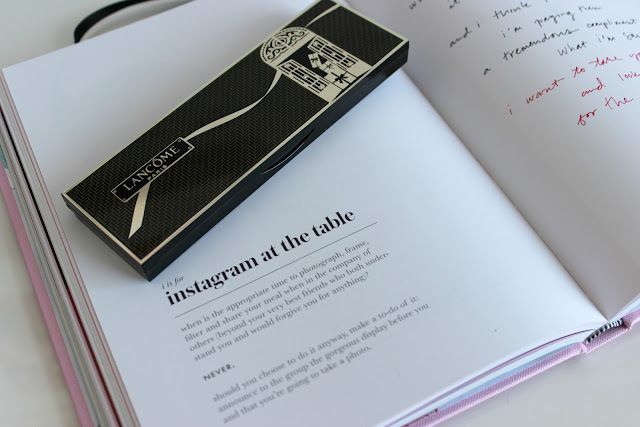 With this palette, I found the shimmer all across the eye was a bit too much for me. I found myself reaching for other palettes to get a good transition shade. The lippies are pretty good as well. I really like the fact they are buildable, and I generally prefer to opt for more sheer shades on the lips. You can really get an impactful look from the lips, but they can also be very daytime appropriate. I don't find they have the longest lasting power, but at the same time, they're very creamy and leave your lips feeling very moisturized. 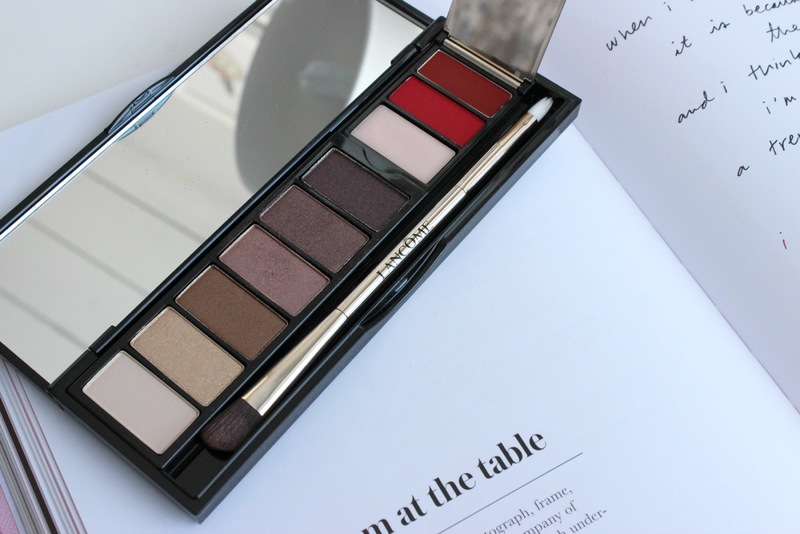 Overall, I still love the palette, despite it missing a key eyeshadow or two. I'm already going crazy over the Spring release this year.